Gospel without compromise, joyfully lived, replaces Catholic Lite. When Pope Benedict XVI appointed the archbishop of Denver, Charles J. Chaput, O.F.M.Cap., as the new archbishop of Philadelphia on July 19, the usual suspects were trotted out to say the usual things that the usual suspects say. Just about every story on the Chaput appointment identified the archbishop as a “conservative” (because he believes and teaches as true what the Catholic Church believes and teaches to be true); just about every story claimed that Chaput was a tough guy when it came to holding Catholic politicians accountable for their votes on abortion and the nature of marriage (while completely missing the fact that Chaput had consistently made genuinely public arguments, not uniquely Catholic theological claims, about the inalienable right to life and marriage rightly understood); and of course every story emphasized abuse, abuse, abuse (as if this were the only reality of Catholic life in America). All of this is tiresome, if wholly predictable; both its tediousness and its predictability help explain why it’s the rare discerning reader who turns to the mainstream media for serious reportage about and analysis of the Catholic Church. In this case, however, the same-old-same-old also obscured what is truly important about the Chaput appointment — which is not the archbishop’s Potawatomi ancestry (interesting as that is) but his place as one of the most vigorous exponents of what might be called Evangelical Catholicism. That formulation — the Gospel without compromise, joyfully lived — captures the essence of the Evangelical Catholicism that is slowly but steadily replacing Counter-Reformation Catholicism in the United States. The usual suspects are living in an old Catholic paradigm: They’re stuck in the Counter-Reformation Church of institutional maintenance; they simply want an institution they can run with looser rules, closely aligned with the Democratic party on the political left — which is precisely why they’re of interest to their media megaphones. Archbishop Chaput, Archbishop Timothy Dolan of New York, and other rising leaders of the Catholic Church in the United States are operating out of a very different paradigm — and in doing so, they’re the true heirs of both the Second Vatican Council and Pope John Paul II. The Council put the Gospel and its proclamation at the center of Catholic life. 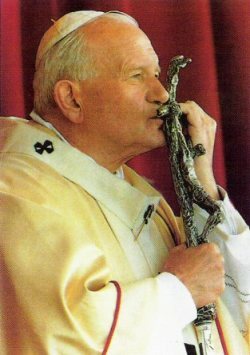 John Paul II, in his apostolic letter published at the end of the Great Jubilee of 2000, challenged the entire Church to leave the stagnant shallows of institutional maintenance and put out into the deep waters of post-modernity, preaching Jesus Christ as the answer to the question that is every human life. In his 1991 encyclical Redemptoris Missio [The Mission of the Redeemer], John Paul insisted that the Church doesn’t have a mission, as if “mission” were one among a dozen things the Catholic Church does. No, John Paul taught, the Church is a mission, such that everything and everyone in the Church ought to be measured by what the management types would call mission-effectiveness. The old warhorses of the post–Vatican II debates, on either end of the Catholic spectrum, don’t get this; they’re still mud-wrestling within the old paradigm. But Archbishop Charles Chaput gets it, big time. That, and the effective work of his predecessor, Cardinal James Francis Stafford, is what has made the archdiocese of Denver what is arguably the model Evangelical Catholic diocese in the country: a Church brimming with excitement over the adventure of the Gospel, a Church attracting some of the sharpest young Catholics in America to its services, a Church fully engaged in public life while making genuinely public arguments about the first principles of democracy. This is the vision that Archbishop Chaput is bringing to Philadelphia, and it has virtually nothing to do with “agendas” as the usual suspects understand agendas. Of course that vision includes addressing serious problems of sexual abuse. The old clericalism that protected perpetrators in various dioceses created serious legal problems for the institutional Church; but it was also, and even more importantly from an evangelical point of view, a terrible impediment to preaching the Gospel and attracting people to friendship with Jesus Christ. 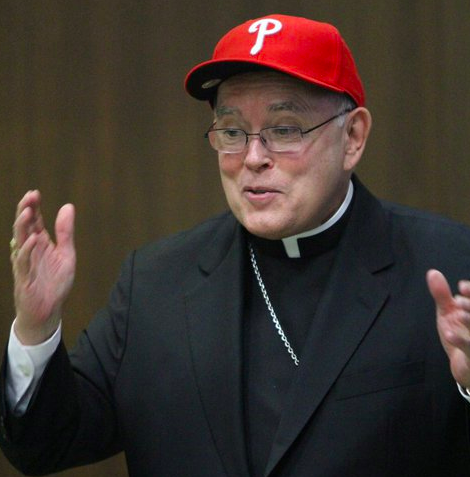 It’s his palpable commitment to the latter — to the project of unapologetic evangelism — that will give Archbishop Chaput credibility in cleaning up what needs cleaning up and in healing what can be healed in Philadelphia. And this is something else the usual suspects miss. The usual suspects’ answer to clerical sexual abuse has been, is, and seems likely to remain the transformation of Catholicism into Catholic Lite. But in situation after situation — Phoenix and Denver being two prime examples — it’s been the Gospel without compromise, joyfully lived, that has turned abuse disaster areas into vibrant Catholic centers where public confidence in the Church’s credibility has been restored. Where Catholic Lite has been adopted as the solution to the problems Catholic Lite helped cause — as in Boston — the meltdown that began in 2002 continues. With the appointment of Charles J. Chaput as archbishop of Philadelphia, the deep reform of the Catholic Church in the United States — the reform that is giving birth to Evangelical Catholicism even as it leaves the old post–Vatican II arguments fading into the rear-view mirror — has been accelerated. — George Weigel is distinguished senior fellow of Washington’s Ethics and Public Policy Center, where he holds the William E. Simon Chair in Catholic Studies. 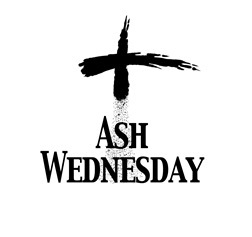 His weekly column, “The Catholic Difference,” is syndicated by the archdiocese of Denver. Great article from a man this generation must learn from, thanks for sharing.